The Great Plains Art Museum opened in 1981 after a generous donation from Dr. John and Elizabeth Christlieb of Bellevue, Nebraska. The Christliebs donated to the Center for the Great Plains Studies at the University of Nebraska-Lincoln their valued collection of western art, library of western Americana, and provided an endowment for the care and maintenance of the Collection. The Christlieb Collection serves as the foundation of the Great Plains Art Museum?s permanent collection. The Collection consists of bronze sculptures, paintings and drawings, other works on paper, and photographs, and includes artwork by Albert Bierstadt, William de la Montagne Cary, Robert F. Gilder, William Henry Jackson, Frederic Remington, Charles M. Russell, and Olaf Wieghorst. The library contains an impressive 7,500 volumes, consisting of several Western novels and many other fiction and nonfiction books about the West and the Great Plains. Over a number of years, Patricia and Stanley Broder donated works of art to the Great Plains Art Museum. Their generous donations number more than 50 paintings and encompass a range of Native American artworks impressive in overall quality and variety. 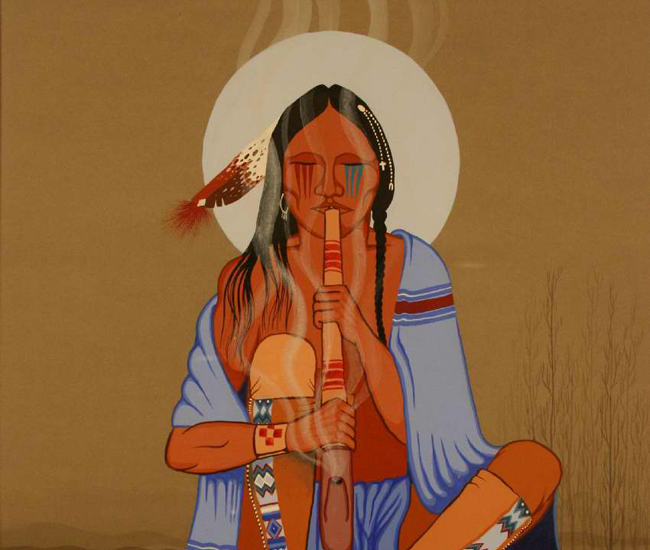 The artists come from diverse Native American backgrounds and include Navajo, Hopi, Pueblo, Cherokee, and Plains Indians such as Osage, Kiowa, Comanche, and Sioux. The paintings included in the Broder Collection date from the early twentieth century to the 1980s. The artwork included in the Broder Collection includes a variety of styles and subject matter often seen in artists in the Southwest and Plains region. The collection includes examples of paintings by early self-taught Pueblo painters such as Tonita Pena (1895-1949), as well as later Pueblo painters such as Percy Tsisete Sandy (1918-1974 ) who received art training. Members of the Artist Hopid, Delbridge Honanie (1946- ), Milland Lomakema, Sr. (1941- ), Fred Kabotie (1900-1986), and Terrance Talaswaima (1939- ) are also well represented in the Broder Collection. Formed in 1973, this group of Hopi artists finds inspiration in both the traditional designs used by their forbearers in centuries past as well as stylistic innovations of outstanding 20th Century artists. In addition to these prominent Hopi artists, the collection includes work by notable Navajo artists Harrison Begay (1917- ) and Andy Tsinajinne (1918-2000). Plains Indian artists in the collection include Carl Woodring (1920-1985) (Osage) and Robbie McMurtry (1950- ) (Comanche). Many of these artists draw upon knowledge of their own group’s art forms such as pottery, mural paintings, petroglyphs and hide paintings and integrate motifs and symbols from these sources into their art. The paintings in the Broder Collection also include the variety of media used by Native American artists: watercolor, gouache, acrylic, casein, tempera, chalk and ink. Subjects focus on specialized types of dancers, kachinas, ceremonies, hunters, children, and animals. Stylistic approaches in the various works also differ, from strongly representational to highly conceptual and abstract. Patricia Janis Broder passed away December 21, 2002 and Stanley Broder on May 17, 2011. Both are survived by their daughter Helen, two sons Clifford and Peter, and three grandchildren Janis, Rachel and William. In 1990, Charles W. Guildner set out to photograph the landscape and lives of the people of the rural heartland. His phenomenal series "Lives of Tradition" and an exhibition "Lives of Tradition — Impressions in Silver" at the Great Plains Art Museum were born of this goal. The Great Plains Art Museum will become the home for Guildner's photographs, negatives, and archives. A generous gift of Dwight Kirsch's niece, Mrs. JoAnn Kelly Alexander, the collection holds over 700 works. Besides his prolific output of artworks, Dwight Kirsch made his mark on the Great Plains and nearby through his teaching, work with the Nebraska Art Association, the University [of Nebraska] Art Collection, and the Des Moines Art Center. The Dwight Kirsch Collection is almost entirely the work of his last years, while living in the Colorado State Veterans Nursing Home (1976-1981) in Florence, Colorado. John Kirsch's remaining body of work, created in oils, acrylics, and pastels, is small due to tragic circumstances that led to the burning of many of his finest paintings in his New York apartment. His work was acquired by several museums in his lifetime; he was commissioned for numerous portraits, and exhibited in two-man shows with his father, Dwight Kirsch. John Kirsch was an active traveler creating works in Europe and Mexico, an art educator at the college and adult level, and was on the publications staff for the Museum of Modern Art. Besides excelling in the visual arts, John was a talented musician as well. John Kirsch died at the age of forty-four at the Kirsch home in Des Moines, Iowa. Over a number of years, Mark and Carol Moseman have donated a number of works of modern regionalist works from the Great Plains region. 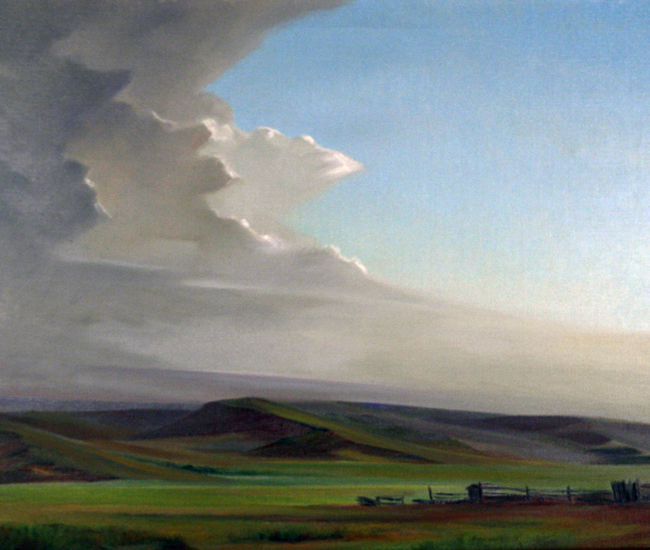 As a prominent artist celebrating the plains himself, Mark Moseman encountered and encouraged many of these artists early in their careers. The Mark and Carol Moseman Collection of Agrarian Art celebrates the plains landscape, its weather and environment, as well as its people. The Elizabeth Rubendall Foundation has generously funded an artist-in-residence program since 2007 at the Great Plains Art Museum. Artworks are commissioned by the museum to become part of the museum's permanent collection, and the artist completes the commissioned artwork(s) in the lobby of the Great Plains Art Museum. The full artistic process is on display for visitors and school groups, creating a unique program as well as enduring art. Read about the Artist-in-Residence Program here. 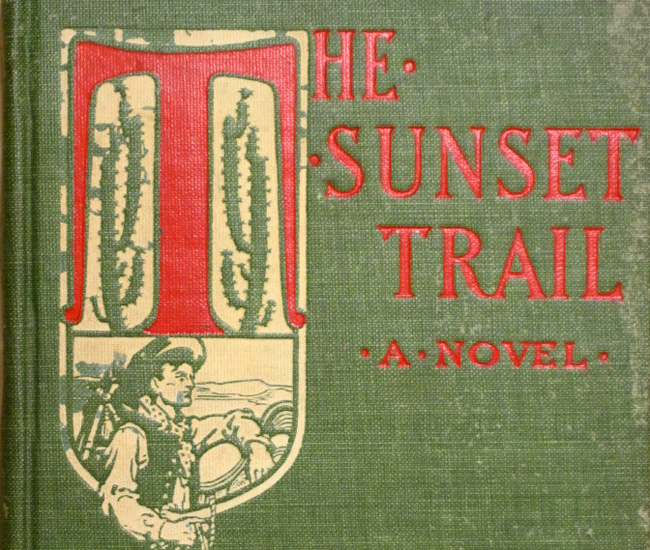 Cliff Hillegass gifted to the Great Plains Art Museum Research Library over four hundred books of American western history and art titles, including several first editions with original dust jackets. 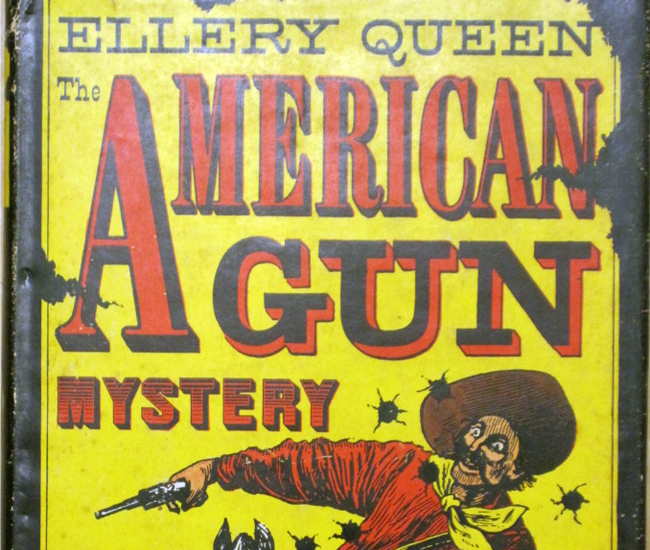 Wallace Johnson donated several American Western monographs with original dust jackets to the library collection. Richard Lane (1927-1987) had many passions. Books were his heart and soul, his profession and his avocation. The thousands of volumes in his personal library mark the growth of a boy with an insatiable appetite for words to a linguist specializing in Medieval English language and literature. 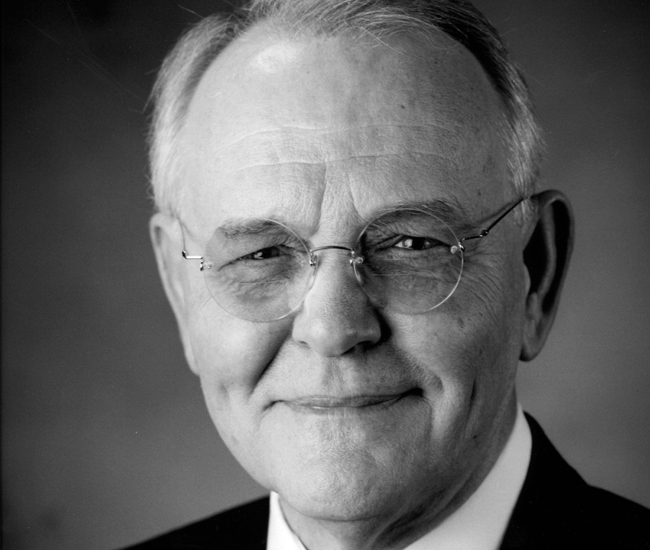 He taught courses in Chaucer, Shakespeare, History of the English Language, Literature of the American West, and Science Fiction, and was a Fellow of the Center for Great Plains Studies. 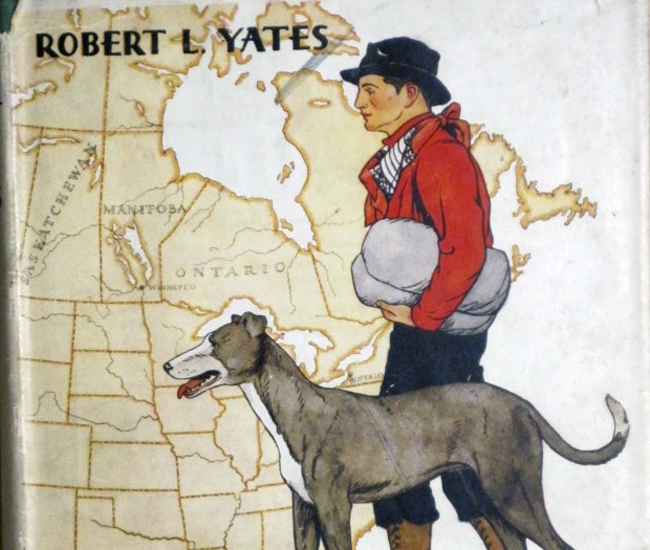 The Richard Lane Collection donated to the Great Plains Art Museum consists of over 500 books. 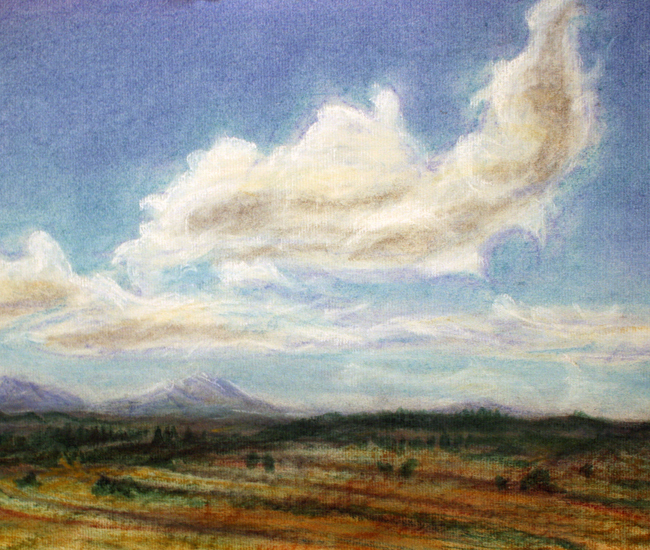 The Big Sky by A.B. Guthrie Jr.
Curator Emeritus of the Great Plains Art Museum, Jon Nelson researched and composed a Literary History of the Western Novel. 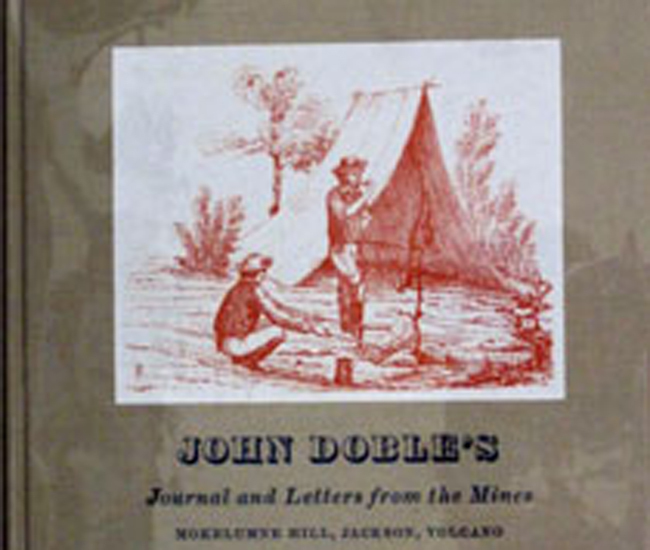 The Nelsons established a fund to purchase volumes filling gaps in this literary history with the focus on first edition copies signed by the author. 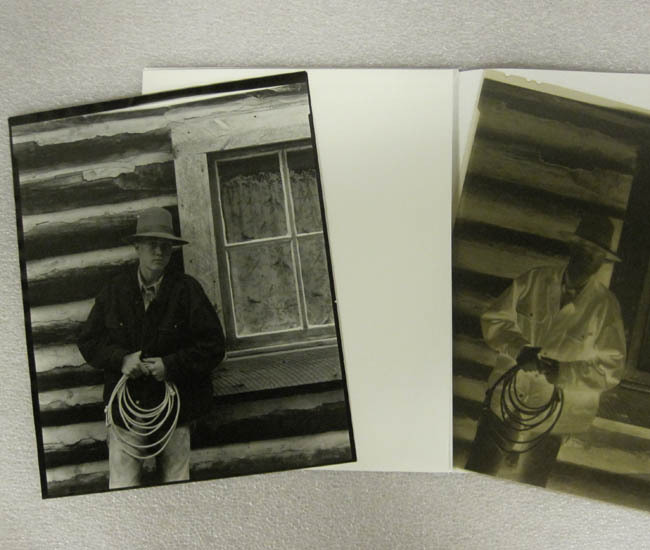 The Regina collection is a comprehensive research library of Canadian Plains material consisting of 1109 items. It covers the period of mass European settlement in the Prairie and Parkland regions, the Canadian half of the Great Plains, from the late nineteenth century to the present. The Collection includes standard works in the fields of agriculture, economics, political science, history, sociology, religion, and other topics. Fiction and poetry are represented in the Collection as well. Many of the volumes are now out of print and some are rare first editions. The Regina Collection was compiled by Richard Spafford, an antiquarian book dealer and archivist from Regina, Saskatchewan, Canada. In compiling the collection, Mr. Spafford was guided principally by two bibliographies, Bruce Baden Peel’s A Bibliography of the Prairie Provinces to 1953 with Biographical Index and Jill Robinson’s Seas of Earth: An Annotated Bibliography of Saskatchewan Literature as it Relates to the Environment as well as other standard bibliographies. The Regina Collection includes all the most important books in the two bibliographies and a total of approximately 90 percent of the works listed, plus a sampling of other related books. The Regina Collection complements the existing collections of the Nebraska University Libraries and the Center for Great Plains Studies. The acquisition of this collection has proven to strengthen the position of the University as a regional and international research center as well as contributing to ongoing programs and existing research. Surrounded by native grasses, this multi-figure bronze sculpture commemorates the journey of Lewis and Clark from 1804 to 1806. The co-captains point the way into the Great Plains Art Museum, encouraging passersby to step into the building and discover the history and art of Nebraska and the Great Plains. As they entered the Great Plains environment in 1804, Meriwether Lewis and William Clark discovered a cornucopia of wildlife, endless grassland, and a semiarid climate. The captains met and interviewed the indigenous peoples and resident traders, wrote scientific descriptions of wildlife, collected cultural objects, and participated in Indian activities. Lewis and Clark rose above the prejudices of their time and left a cherished ethnographic legacy. Created by the nationally-renowned sculptor George Lundeen, On The Trail of Discovery portrays Meriwether Lewis and William Clark with two stylized Native American figures. Lewis is shown in military uniform like the one he wore on the expedition, while Clark, the mapmaker of the expedition, is shown wearing frontier clothing. Seaman the Newfoundland dog stands faithfully beside his master, Lewis. The Native Americans are shown with few decorations or designs to their clothing, as Lundeen did not wish to have them identified with any particular American Indian tribe. Their guide is adorned with a “peace medal” that Lewis and Clark gave to Native American chiefs they met along the journey. If studied closely, the medal shows the likeness of President Thomas Jefferson. The figure also wears coins representing the 2000 Sacagawea dollar that provide a reminder that Sacagawea assisted and traveled with the expedition from Montana to the Pacific Ocean and back. The Native American child hoists an American flag similar to the ones carried by the expedition. On The Trail of Discovery was installed on the corner of 12th and Q streets as part of the 200th anniversary of Lewis and Clark’s expedition. Commissioned by the Friends of the Center for Great Plains Studies, the sculpture was made possible by major gifts from Bill and Betty Ruth Hewit, and the Cliff and Mary Hillegass Trust. Wind blows the native grasses and prairie plants as a young pioneer woman grips a wagon wheel indecisively. She looks to the east with a steadfast, courageous countenance, but she is not undaunted by the uncertainty of her future as she crosses the plains toward an unknown destination. The breeze tosses her hair and dress about, and the various tones of brown and green patina add drama and vitality to the life-sized sculpture. Though her head is not covered and her hair flows freely, No Turning Back is a memorable embodiment of a heroic pioneer woman that represents both the past and the present women of the plains. 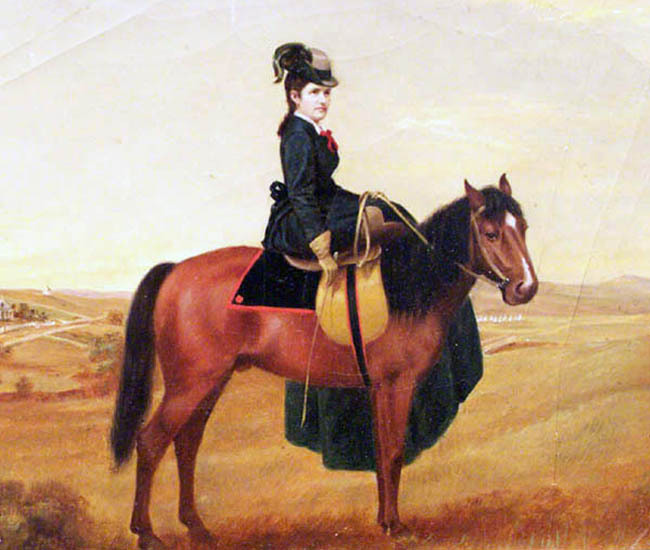 In the days of the westward movement, women played an essential role in the survival of the family. Women took care of the children and the home: they sewed clothing and quilts, cooked meals, and raised their children the best they could. However, that didn’t mean they didn’t participate in the heavy farm labor as well. Aside from providing for the farm and home, women were the providers of education and medical care. They also made candles and soap from animal fat. Installed on the corner of 12th and Q streets on June 1, 2004, No Turning Back was gifted to the museum by William and Sandra Condon in memory of Mr. and Mrs. George W. Condon.